We wanted to create a list of some useful tips/suggestions for parents. It is a compilation of things that we have found to bring the most success in achieving the academic goals of our students. We are sure many of you already know most of these tips; however, there may be some that you did not consider. We hope this helps provide a bit of insight as to how to best help your kids reach their academic goals and make the most of their tutoring sessions. progress – Make sure that you are regularly checking in with your child’s tutor(s) and teacher(s) about their progress. They might be able to provide you with some insight as to why your student is underperforming, or why they think they have suddenly improved. Your child’s tutor may alert you to some issues that you may have not noticed before; for example, if your child is depressed, unmotivated, tired, anxious, etc. Additionally, they may also notice positive changes; for example, that working with your child earlier in the day makes them more alert and more likely to pay attention and retain information. All in all, it is essential to have open communication with your child’s tutor(s) and teacher(s) to ensure you are all on the same page. 2) Share info with tutors about your student’s grades – Let your tutor(s) know what areas your child is struggling with the most (i.e. tests, participation, homework, projects, etc.). If you share this info with your tutor, they will have more insight as to how to help your child. Again, our tutors are there to guide your children and to help them reach their academic goals; the more information they have, the more likely they will be able to accomplish these goals. 3) Ask your child’s teacher(s) if they are open to communicating with our tutors – We find that students are the most successful when they have a group of people that are invested in working together to help the student succeed. If the tutors are able to communicate with your child’s teacher(s), the teachers are able to offer valuable insight as to what the tutor(s) should focus on, in order to help your child succeed in school. If parents, tutors, teachers, and the students are working together towards a common goal, the student is more likely to succeed. 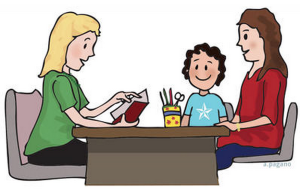 4) Talk to your child’s tutor(s) about your goals and expectations – It is essential that, right from the start, you talk to your child’s tutor(s) about your goals. Let them know what you hope to gain from tutoring, besides the obvious (aka better grades). Let them know about any challenges your child has faced along the way and what you hope to gain from having our tutor(s) work with them. 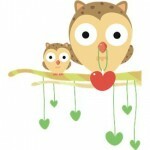 The more aware the tutors are about your expectations, the more likely they are to help your child reach those goals. 5) If a tutor is not working out, let us know – Please make sure that the tutor(s) we assign for your child are a good fit and that they are meeting the academic needs of your child. If a tutor is not a good fit, please let us know and we will work towards finding a tutor that is a better fit. We all share a common goal, which is to ensure that our students are succeeding academically; the best way to achieve that is by ensuring that they are working with the right tutor for them. 1) Set a regular schedule – Most students function best when they have a regular schedule that they follow. Make sure to set aside a time when your children are supposed to be studying, so that they become accustomed to studying at a certain time of day, even when tutoring is not taking place. 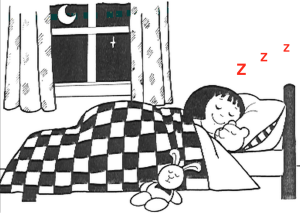 2) Make sure your kids get enough sleep – We all know how vital it is for students to get 7 to 8 hours of sleep during the night, especially when it comes to retaining information; therefore, make sure that you set a curfew for your kids and that you implement it. 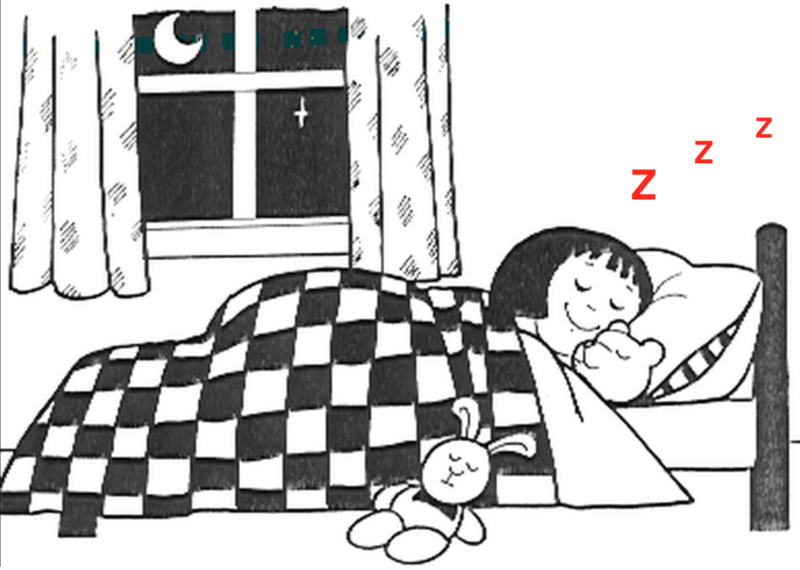 Additionally, make sure that your home is quiet and conducive for them, to get a good night’s sleep, when it is time for them to go to bed. 3) Make sure your kids have enough time to eat before the tutoring sessions – Although it might seem like we are stating the obvious, we cannot stress enough how important it is that your kids not be hungry during the tutoring sessions. Make sure that you schedule your tutoring sessions during a time that gives your child enough time to eat after school. When kids are hungry, they find it hard to concentrate and to retain information. 4) Check your student’s grades on a regular basis – Make sure you make use of the resources provided to you by your student’s school – this particularly applies to junior high and high school students. Many schools now post grades online. Every student/parent has a unique username and password that they can use to login and check their students’ grades. Many teachers update the grades on a fairly regular basis. If you are up to date on your child’s grades, you will be more likely to spot an issue when it arises and to let your child’s tutor know where your student is struggling the most. 5) Set realistic goals and encourage your student – Make sure that you do not put too much pressure on your child. You want to talk to your child and set a goal together that will require work and dedication, but that is also attainable. Once your child reaches that goal, make sure to praise them for their achievement while encouraging them to keep working towards achieving more goals. 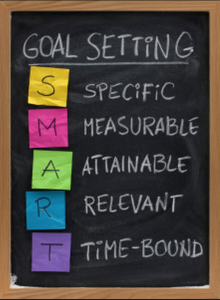 By setting these smaller goals, it is easier for your child to be able to succeed and they are less likely to give up because they are not overwhelmed by a large goal that seems impossible to attain. Your child will also enjoy feeling a sense of accomplishment and pride, after reaching these smaller goals, and they will be more motivated to set more goals and to work towards achieving them. As the new school year begins, many parents and students may find themselves staying up at night thinking of ways to make this year count and make it the most educationally enriching. There are many essential bits of information that parents and students should know in order to guarantee a better probability of succeeding and achieving the desired educational goals – parent involvement is necessary, and there is no better way to stay involved than by staying informed. We have compiled some tips for parents, specifically from the Chaffey Joint Union High School District, in order to help you understand what information is invaluable to helping your student achieve educational success. – Back to School Night – Back to school night is a must for all parents. It is essential that you attend this event so that you can meet all your child’s educators and find out what your student will be learning throughout the year. You also get the opportunity to introduce yourself to your student’s teachers and let them know that you are involved and committed in your child’s education. We find that most teachers are better able to help students who have parents/guardians that are involved and invested in helping their kids succeed. – Online Resources – There is so much information to learn by simply going online and checking your school district or child’s school website. Although not every school website is up to date, there are many that are updated frequently and that provide lots of information that can help guide parents as to what to do or where to go to stay informed. Student Grades – With the advent of technology in education, it has become a lot easier for parents to stay updated on their children’s grades. Many teachers provide exact breakdowns on the different assignments that the students had to complete and what grade they received on them. Parents are now able to find out if their kids missed any assignments or what areas they are struggling with. For example, if they are performing poorly on tests, or if they are missing homework assignments, or failing to participate. This information is vital to coming up with a plan to help your child live up to her/his full potential. Many schools offer parents the option of creating their own account in order to stay updated on grades. Chaffey Joint Union High School District – For each school there is a link that says “Register Now”, where you can register for free with School Loop. School Loop allows you to connect with teachers and counselors, to submit work electronically, to stay updated on grades, to check assignments, and to view school news and events. School Calendars – You can also check the school/district calendar online. The district calendar will keep you informed on holidays, school breaks, staff development days (days where kids don’t go to school), parent conference days, state mandated testing days, back to school night, among other important dates. To stay updated on specific events going on at your student’s school, be sure to check out the calendar for your child’s school. For most schools, staff directories are available on each school website. Look for the Staff Pages, Class Pages, or Faculty and Staff Links to find your student’s teachers’ email addresses. Many teachers are open to communicating via email with parents, which can be a great way to stay informed on your child’s education; however, be mindful that teachers have a lot of students and a lot of work to do, so make sure not to overwhelm them with questions that you can easily find the answer to elsewhere. To find out your child’s specific counselor, click on the link that says Counselors, Counselor’s Page, or Counseling Office, among other variations. Counselors can provide a lot of help and be a vital resource to your child’s success. 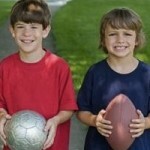 Counselors can be especially helpful when your child runs into a problem. Volunteer Opportunities – You can also find information on the school websites on how to become more involved in your child’s education and/or school. Many schools offer the opportunity to be part of the PTA, PFA, Booster Clubs, or to simply offer your time to go help in your child’s classroom. In many schools, parents also have the option to help during field trips. All in all, offering a helping hand is always a good way to get to know your child’s teachers, and the school staff, a bit more personally, plus, it also makes it easier for your child’s teacher to focus on educating your child and his/her classmates if they have a helping hand. Syllabus – Not all teachers provide a syllabus; they are mostly found at the high school and college levels. Syllabi are essential to letting parents and students know what to expect from that course, and what will be expected of the students. They also typically give a breakdown of what every assignment is worth, i.e. what percentage of the overall grades participation, tests, essays, homework, etc. are worth. Check with your child’s teachers to see if they have a syllabus. You may be able to find the syllabus on the teacher’s website. Many teachers have their own personal class websites accessed through the main school website. Other – You can also find other vital information on the Chaffey Joint Union High School District. You can find information from after school programs, to food and nutrition services, bell schedules, school policies, dress codes, employment opportunities, and bus information, among other vital tidbits. There is a lot more vital information out there; however, we have found that these are some of the most essential bits of information that will lead you to become a more informed parent and will allow you to help your student be a successful learner. Use the resources you have at hand to help your child succeed in school. Finally, we also think that tutoring is a great way to increase the odds of your child performing well in school and growing as a learner. Nothing compares to the one-on-one attention that students receive when working with a tutor. For information on tutoring in Ontario, tutoring in Rancho Cucamonga, tutoring in Chino, tutoring in Montclair, Mount Baldy, Upland and Fontana please email (thetutoringsolution@gmail.com) or call us (909-238-8233) and we will be happy to help your child learn how rewarding learning can be. To find out more information about the services we offer click on the link. As the new school year begins, many parents and students may find themselves staying up at night thinking of ways to make this year count and make it the most educationally enriching. There are many essential bits of information that parents and students should know in order to guarantee a better probability of succeeding and achieving the desired educational goals – parent involvement is necessary, and there is no better way to stay involved than by staying informed. We have compiled some tips for parents, specifically from the Corona-Norco Unified School District, in order to help you understand what information is invaluable to helping your student achieve educational success. Here is the link to the Corona-Norco Unified School District Parent Connection. You must create an account first before you can access your student’s grades. Visit the FAQ’s page along the top of the page to find out how to create an account. Other – You can also find other vital information on the Corona-Norco Unified School District website. You can find information from after school programs, to food and nutrition services, bell schedules, school policies, dress codes, employment opportunities, and bus information, among other vital tidbits. Finally, we also think that tutoring is a great way to increase the odds of your child performing well in school and growing as a learner. Nothing compares to the one-on-one attention that students receive when working with a tutor. For information on tutoring in Norco, tutoring in Corona, and tutoring in Eastvale please email (thetutoringsolution@gmail.com) or call us (909-238-8233) and we will be happy to help your child learn how rewarding learning can be. To find out more information about the services we offer click on the link. As the new school year begins, many parents and students may find themselves staying up at night thinking of ways to make this year count and make it the most educationally enriching. There are many essential bits of information that parents and students should know in order to guarantee a better probability of succeeding and achieving the desired educational goals – parent involvement is necessary, and there is no better way to stay involved than by staying informed. We have compiled some tips for parents, specifically from the Chino Valley Unified School District, in order to help you understand what information is invaluable to helping your student achieve educational success. Here is the link to a page where you can find out how to create an account in order to access your child’s grades. Other – You can also find other vital information on the Chino Valley Unified School District Website. You can find information from after school programs, to food and nutrition services, bell schedules, school policies, dress codes, employment opportunities, and bus information, among other vital tidbits. Finally, we also think that tutoring is a great way to increase the odds of your child performing well in school and growing as a learner. Nothing compares to the one-on-one attention that students receive when working with a tutor. For information on tutoring in Chino and tutoring in Chino Hills, please email (thetutoringsolution@gmail.com) or call us (909-238-8233) and we will be happy to help your child learn how rewarding learning can be. To find out more information about the services we offer click on the link. Due to the recent devastating events that have occurred in different schools around the country, most notably at Sandy Hook Elementary in Conneticut, we decided to open up the discussion and talk about how to talk to your children about all the violence going on in schools. Although many parents’ first instinct is to shield their children from the reality of these types of horrible events, we must acknowledge that children are very perceptive and very intelligent and that they most likely know more about the events going on than we would like them to. As hard as these situations are for an adult to understand, they are that much harder for an innocent young child. Therefore, parents’ comforting words of reassurance and clarification, to any questions children may have, are essential to them feeling safe again. Be honest and open with your children, and most importantly, allow them to talk about their feelings. Don’t shy away from talking to your kids about school violence. Let them know that they are safe to express their feelings with you and that their feelings are important. It is also essential that parents control the amount and the type of media coverage children are exposed to, especially coverage concerning violence in schools. There is so much media coverage of these horrible events, causing some children to feel paranoid, scared, sad, and even traumatized. In times like these, children need their parents support, or that of other adults they trust, in order to feel comfortable to ask questions and to talk about how they feel. You as a parent, should model healthy ways of expressing your feelings of anxiety, fear, sadness, etc., when talking to your children about school violence. Let your children know that they are not alone in feeling the way they do, but that they are safe and that these events are not the norm. You should also make an effort to continue with your daily routine. Children often feel a sense of anxiety and stress when they are presented with changes. Thus, continuing with the normal routine makes them feel comfortable, because they feel they can predict what will happen next – in essence they feel they have control of their lives. You should also know that not all children react the same. While one child may act indifferent when talking about these events, it does not mean they are completely okay. 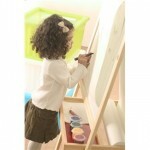 Therefore, it is imperative to pay attention and note if your child is acting differently in any way (i.e. not paying attention in school, not eating enough, not being able to sleep, having nightmares, wetting the bed, acting up in and out of school, etc.). You must take note of these, sometimes subtle, changes in behavior, in order to assess whether or not they are being affected by the current events and to see how you as parents can help them cope. What do you think is a good tip for parents when talking to children about school violence? If you have had to confront this tough situation, how did you help your child cope? If your child is underperforming in school and you would like to hire a tutor to help them live up to their full potential, please give us a call today at (909) 238-8233 or send us an email at thetutoringsolution@gmail.com. We have highly qualified tutors that can help your student achieve his/her goals. We provide tutoring in Chino, Chino Hills, Eastvale, Mira Loma, Alta Loma, Ontario, Corona, Norco, Rancho Cucamonga and all the surrounding cities. We have students from Sky Country Elementary, Oxford Preparatory Academy, Townsend Junior High School, Roosevelt High School, Alta Loma High School, Norco High School, Centennial High School, Chino Hills High School, Ontario Christian High School, Ayala High School, Pomona Catholic Girls High School, and Heritage Oak Private School. 1) The purpose behind progress reports. The purpose of progress reports is to give parents, teachers, and students a good idea of how the student is performing in school. They are intended to give parents and students enough time to assess the situation so that parents can help their child improve their grades before the term is over and the semester grades are due. 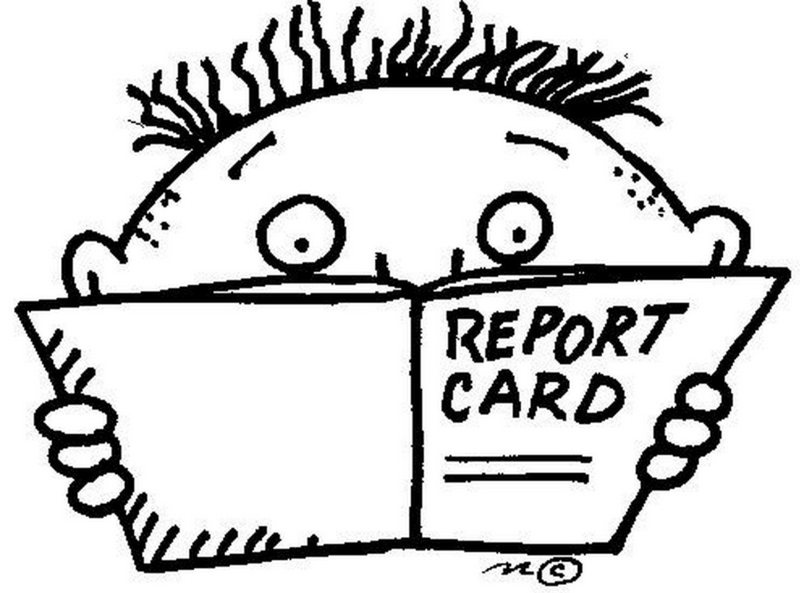 2) What progress reports reveal about your child’s performance in school. 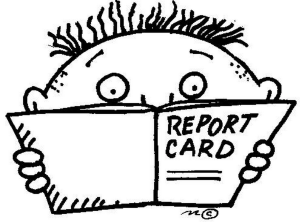 Progress reports are indicators of how well your child is understanding the academic standards and whether or not they are performing at grade level. Progress reports indicate where students require more help as well as in what areas/subjects they are excelling. Often times, progress reports also indicate the students’ work ethic and behavior in class, which could reveal why they are not living up to their full potential (i.e. if they are easily distracted and have a tendency of distracting fellow classmates). Progress reports also reveal if your student is not attending class or showing up tardy. All this information is essential to understanding where your child needs to improve in order to excel in school. 3) How to approach the situation if your child’s grades are not where they should be. Talk to your child first. Find out why they are having difficulty in certain subjects or classes. After speaking with your child, the solution to the problem might be easier than previously anticipated. You may find that it is something as simple as your child getting distracted because of where he or she sits (i.e. if they sit near a student that has a tendency of talking a lot), or they might just need glasses and they happen to sit in the back of the classroom in the class where they are underperforming (I actually encountered that problem when I was in High School, after I got glasses, the problem was solved). However, most often than not, students simply need additional assistance and instruction in the areas where they are underperforming. After you talk to your child, talk to their teachers. Most teachers are completely devoted to their students’ education, and they will do their best to help them succeed in class. You can start by sending them an email to ask about your child’s progress and where they are having difficulties. If you need additional information, you can plan a conference or a meeting in order to have a more comprehensive look at your child’s performance in school. Information is key to helping your child succeed in school. 4) How to help your child tackle subjects that they find difficult. The most important way to help your child is by having open communication with them and their teachers. Make sure that your child feels like you and their teachers are on their team and that you have their best interest in mind. You should also consider hiring a tutor. Tutors can provide one-on-one help and assess what specific areas of that subject are causing the student to struggle. Perhaps your child simply needs to relearn the basics in order to tackle more comprehensive or advanced problems and/or assignments. You should also make sure you look over your child’s homework and assignments to assess how they are doing and to make sure you help them correct mistakes they make. Make sure to set aside “homework/study time” – make sure your students have a space to work in that is quiet, where they are not distracted, and that is well lit and where the temperature is regulated to a comfortable level. 5) How to use technology to stay informed on how your child is doing in school and how you can help him/her. Many teachers have websites where they post grades for individual assignments and tests, they post information on whether or not your child submitted an assignment, they post resources to help complete assignments or to study for tests, and they post deadlines for when homework is due or when students will have their next test. Be sure to take advantage of these wonderful resources. Your teachers themselves can also be a great resource. Do not hesitate to email them and ask how you can best help your child. However, understand that they are very busy and they have over 30+ students (per class, if they are Junior High or High School teachers), so don’t overwhelm them with emails. All in all, the most important bit of information I can give, is for parents to stay informed and be involved in their child’s education. We provide tutoring in Chino Hills, Chino, Eastvale, Mira Loma, Alta Loma, Ontario, Corona, Norco, Rancho Cucamonga and all the surrounding cities. We have students from Sky Country Elementary, Oxford Preparatory Academy, Townsend Junior High School, Roosevelt High School, Alta Loma High School, Norco High School, Centennial High School, Chino Hills High School, Ontario Christian High School, Ayala High School, Pomona Catholic Girls High School, and Heritage Oak Private School. BEEP! BEEP! BEEP! The alarm clock rings at an unrighteous hour, signaling an end to the wonderful summer. Commercials play tirelessly, convincing you to buy their low school supply deals. As you enter this school year, it can be intimating to you. Whether you’re a freshman, sophomore, junior, or senior, back to school nerves can arise. But have no fear! The How to Survive High School guide will guide you through all insecurities, fears, worries, and more! 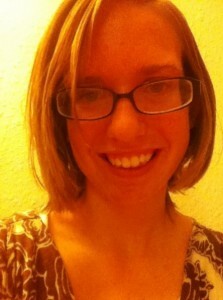 Let me introduce myself first: my name is Julia Schemmer. 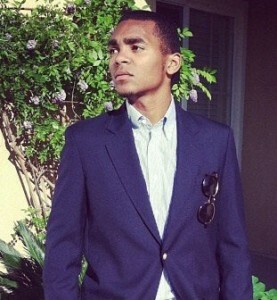 I am a sophomore at Norco High School, and I have very high aspirations. My freshman year of high school I was blessed to win four scholarships and acceptance into the University of Southern California’s summer residential program. Recently, one of my classic Shakespearean sonnets that I wrote has been selected to be in a book titled Talented. I aspire to be a missionary doctor, helping less fortunate people with their basic medical needs in poverty-stricken areas. Success is relative, and other people’s views of success differ. However, my school has three elements needed to be successful: Resourceful, Responsible, and Ready to Achieve. In this guide, we will further discuss these and how to attain them for your maximum enjoyment of high school and the world beyond. The first element of the “key to success” is being resourceful. The reason why I achieved a lot of scholarships was because of the Career Center at my high school. High schools and libraries offer a lot of helpful resources that if used, could bring you a lot of success. If you’re falling behind in classes, an important resource is tutoring. Do everything that you can to improve your grades, and you’ll see yourself understanding and enjoying the material more and more. By using your local resources, success will come. The second element of the “key to success” is being responsible. This includes doing your homework on time, studying for tests and quizzes, and adhering to the school rules. Doing homework on time projects a good image to your teacher and administration. You want to look the best you can for teachers because they are the ones who will recommend you for different scholarships and activities. Studying for tests and quizzes are essential to getting a good grade in the course. It doesn’t have to be a two hour session of studying. Setting aside twenty minutes a day can make a huge difference in your grade. When I was struggling with Geometry last year, studying made a big difference and I ended up with a C+ in the class. Adhering to the school rules is a huge responsibility. No matter how tedious they might seem school rules are established for a reason: to give you the best learning experience for you and the teacher. Even if it’s not chewing gum, following the dress code or showing up to class on time; they make you a better student. If you break the rules at a college or university, they throw you out. If you are seriously college bound, it would be wise to focus on obeying the rules now, so you are prepared for college and ready to succeed. The last element of the “key to success” is being ready to achieve. Even though it seems straight forward, it is very important to success. You don’t go as the lead of a musical ready to give only 25%. You wouldn’t go into a football game saying “Let’s beat them! But if not, lose with style.” No, you enter these situations with a wholehearted passionate decision to give it all. You use the best of your efforts to bring forward success and to make yourself proud. Same with school success. In being studious, it is essential that you give your all. It will take dedication to study for that Physics test instead of chatting on Facebook. It will take discipline to go to tutoring sessions and get that help. But I promise you it is worth it. Nothing worth having will be easy; and nothing easy will be worth having. Giving your all as a student will give you success. Stay focused, stay yourself, and stay studious. Education, according to the Oxford Dictionary, is “the process of receiving or giving systematic instruction.” With that definition, one can see that there exist two roles in the education system: receivers and distributors. It is the responsibility of teachers to distribute information to their students, the receivers, in as lucid a manner as possible; however, as receivers, it is the students’ responsibility to be receptive of what the teachers distribute. In an academic environment, cooperation is required between both parties for complete success to be achieved. Based upon statistics and common knowledge, there are students who enjoy learning and students who need some sort of incentive to delve into the learning process. Due to this fact, it is up to the teachers to create an inviting educational environment, a place where the retention of knowledge and abstract thinking is encouraged. Alongside that, teachers must be open to the different manners in which students learn, so that every student has a fair opportunity to comprehend the teacher’s instruction. Once an encouraging environment has been established, the student has the responsibility to be receptive of the teacher’s material. If the open environment still is not sufficient encouragement for the student, then that student must become self-motivated. In my case, when I feel that the style in which the teacher delivers information is not compatible with my way of learning, I have to do what I can in order to understand the material. If that means independently studying at home, asking questions, or seeking tutoring, then I have to take that upon myself and do so. When I find myself uninterested in a specific topic, I do my best to apply it to something that I am interested in so that I can not only stay focused, but actually understand the material. For instance, I initially did not understand the purpose of physics and analyzing free-fall acceleration until I applied it to breakdancing. I realized that an upward force has to be greater than the natural downward force of gravity in order to remain in the air for a given amount of time, causing me to look again into how I executed certain movements. The application of uninteresting information to interesting information amplifies one’s understanding of the interesting information, inherently making both more comprehensible. One way to conquer an array of learning styles is through flexibility. Each participant in the education system has to be willing to accept a method that may be foreign to them, including the parents. 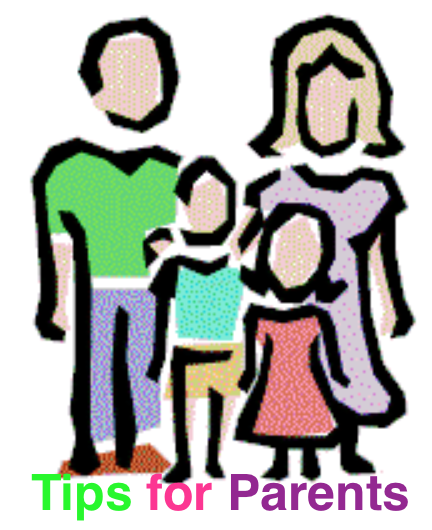 The parents play an interesting role because they are not in the classroom with their students; they do not see the everyday classroom procedures. The parent/guardian’s responsibility, even outside of the realm of education, is simply to encourage the student. When the student is struggling with a specific topic, the parent should be there to let the child know that they are able to accomplish any task as long as they work for it. Dually, it is the parent’s responsibility to discipline the student in a way that the teacher cannot. The parent is there when the teacher cannot be, and knows the student better than anyone else; therefore, the parent must be sure that the student is staying on task and completing his or her work at home so that they can get the most out of their education. Ultimately, practice makes perfect. Motivation is the key to success in the education system, whether it comes from the teachers, the parents, or the students themselves. With motivation and diligence, anything can be accomplished, even getting accepted to one’s dream college. For the past few weeks we have been writing blogs that are focused on the benefits of having a high self-esteem, specifically how you can help your children improve their self-esteem. We strongly believe that people who are secure in themselves and their abilities, are more likely to succeed and to lead fulfilling and happy lives. To read our previous blog posts click on the links, tip 1, tip 2, and tip 3. Here is tip number 4. 4) Encourage and support your children into following their passions and joining a group that interests them. Make sure that your children participate in activities they love, like sports, the fine arts, music, dance, theater, chess, school clubs, etc. Children who belong to a group of peers that share their interests, are more likely to feel like they belong and feel connected to others. If your children feel like their interests are valued, they are more likely to pursue their passions in the future and to choose careers that genuinely make them happy and successful individuals. An added bonus is that these activities function as stress reducers and they allow your children to deal with stressful situations in a much healthier way. There is nothing better than doing something you love just for fun and having friends share in the fun with you. Tell us what you think. Did extracurricular and creative activities help improve your self-esteem? Self-esteem is vital to leading a fulfilling life and to feeling worthy of being happy. Unfortunately, many young kids struggle with low self-esteem, which greatly affects their performance in and out of school. We decided to blog about a few ways that we think parents can help improve their children’s self-esteem. To check out tip #1 and tip #2, click on the links. 3. Although we aren’t all good at showing physical affection or declaring our feelings for others, it is important that we show our little ones how much we love them by giving them hugs and kisses and, in essence, reminding them that we love them on a daily basis. Children need to feel that they are worthy of love and that they are in fact lovable. Everyone likes to feel like their existence matters and that they would be missed or that their absence would be noticed if they were to become absent. Therefore, it is important to let your children and loved ones know how much they matter to you by giving them a simple kiss, a hug, or an “I love you”. Let your children know that they are special, that they are needed, and that they are loved. 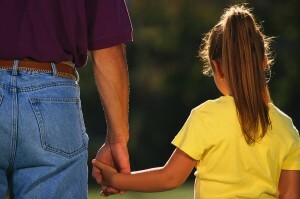 Do you agree that children need to be reminded that they are loved by their parents in order to feel self-confident? To improve your child’s grades, send us an email or give us a call, and one of our many qualified tutors will help your child gain a better understanding of their classroom assignments. We tutor students all over Southern California in all subjects. 3 – March – Ethan D.
The Tutoring Solution provides tutoring in these areas: Chino Hills, Chino, Ontario, Eastvale, Corona, Mira Loma, Norco, Diamond Bar, Rancho Cucamonga, Alta Loma, Riverside, San Bernardino, Beaumont, Lake Forest, Ladera Ranch, Whittier, Pasadena, Pomona, Upland, Claremont, Monrovia, Orange County, San Bernardino County, Los Angeles County, the Inland Valley, the Inland Empire, and the Chino Valley. Email us at: TheTutoringSolution@gmail.com, Cynthia@TheCaTutoringSolution.com OR Call us at (909) 238-8233 to schedule tutoring. 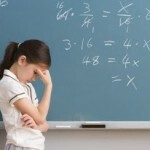 The Tutoring Solution has been just that.. a solution for my daughters challenges with her school work. I have been so pleased with not only the improvement in her grades while working with her tutors but also the personal attention and dedication by the owner of the company in making sure that they are doing all that they can to bring about positive results. Not only have my daughter's grades improved in a couple of challenging subjects but her belief in herself and her abilities has increased with the knowledge of new techniques and encouraging words shared by her tutors. I think what my daughter also enjoys is the fact that her tutors really are passionate about the subjects they teach and their true commitment to giving her all the tools she needs to not only pass her classes but excel. I highly recommend the Tutoring Solutions to any parent out in the inland empire area who is looking for an answer to help their child succeed in their studies and feel better about themselves. I promise you the money you spend will be well worth every penny.